SensorTec offers a full line of temperature transmitters for head or rail mount applications. A temperature transmitter typically converts the sensor signal to a current output that is proportional to the input temperature. 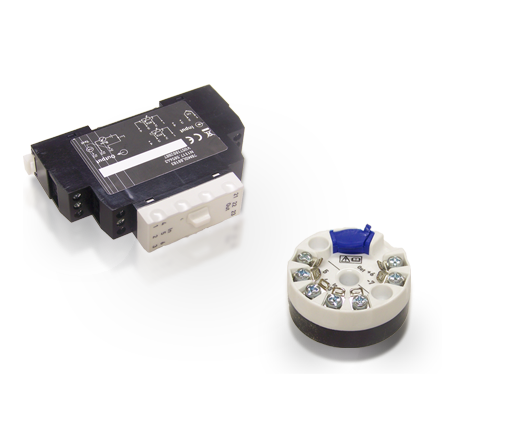 The transmitters are offered in head mount, DIN rail mount, and even local indication if needed. There is also a unit that utilizes the HART Protocol for remote configuration and monitoring.